This small library bench is meant to educate and teach the community to share. 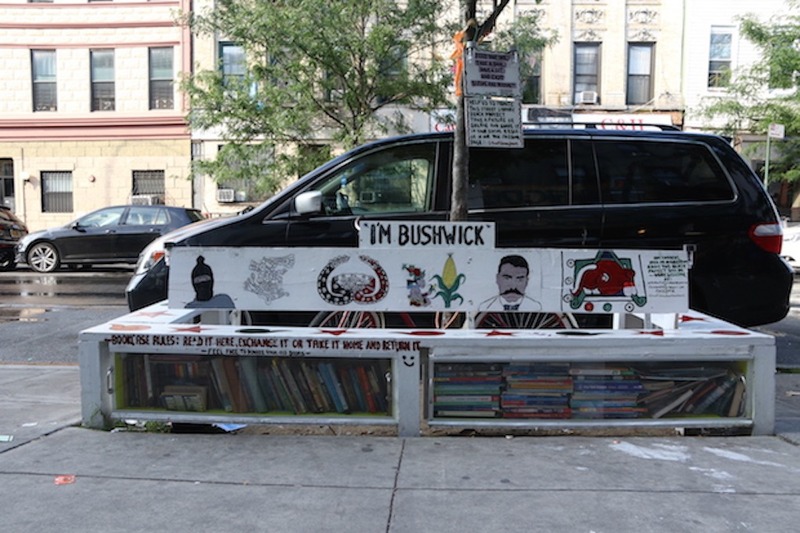 A new outdoor free library now sits on Knickerbocker Avenue after creator, Francisco Ramirez, decided to give back to the neighborhood he has called home since 2001. Outdoor libraries, where books are left for the public to exchange or borrow, are not entirely uncommon. 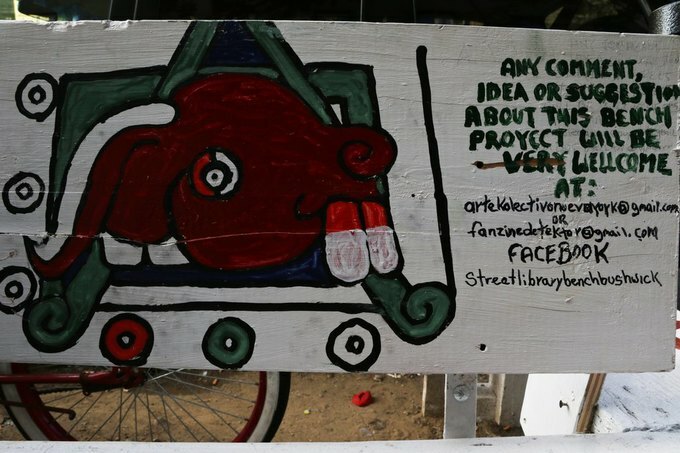 The LA Times, The Atlantic and City Lab have all reported on a “little free library” trend. Little Free Library is a company that provides birdhouse-looking book-sharing boxes. Since 2016, Little Free Libraries have been present in every state in the U.S. They are often established to create a sense of community in areas where residents do not frequently engage. According Little Free Library’s website, there are over 70,000 registered book-sharing boxes across 85 countries. But the one on Knickerbocker is unique in both appearance and inspiration. It's right in front of Abracadabra Magic Deli at 190 Knickerbocker Ave, between Jefferson and Melrose Street. Zapata was a Mexican Revolutionary who was the inspiration for the Zapatismo movement in Mexico, that believed that land belonged to the people. Those that worked it were responsible for it, not the government. Comandanta Ramona, another Mexican revolutionary, was an officer of the Zapatista Army of National Liberation (EZLN), a revolutionary indigenous autonomist organization. Both Zapata and La Comandanta fought for the self-governance of marginalized groups. Ramirez, who is originally from the Mexican state of Hidalgo, drew inspiration for the bench from both figures. 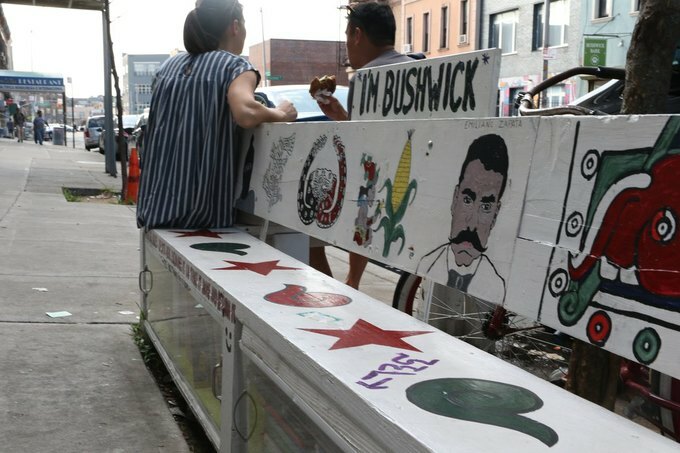 “It [the bench] is totally for the community by the community,” said Ramirez. According to Ramirez, resources, such as free books, are hard to come by in his community. The government has not taken it upon itself to help, so he has decided to set an example and tend to community needs. He hopes that by creating a space where neighborhood residents or visitors can sit and take a moment to enjoy reading will help foster more curiosity and pride in the neighborhood.